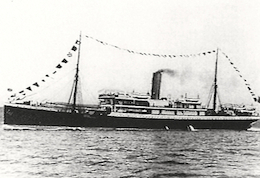 The SS Mendi, carrying the last detachment of the South African Native Labour Contingent to work as non-combatants in France during the First World War, sank just off the Isle of Wight on 21st February 1917. The death toll was high: of the 882 men on board 615 died and 267 were saved. The grim details are easily verifiable; the subsequent after-life of the incident is more complex. This seminar addresses the way in which the Mendi disaster has been recalled over decades and contextualised in terms of public memory at different historical junctures, and how a heroic narrative was constructed with certain elements more pertinently being foregrounded recently to serve a purpose in the present. Prof Albert Grundlingh is a graduate of the University of the Free State and was appointed at the University of South Africa in 1973 where he obtained MA and D Litt et Phil degrees. In 2001 he moved to Stellenbosch University as Head of Department. Grundlingh is the author of and co-author of several books and numerous articles and chapters in books. Many of his publications have appeared in leading international journals. He specialises in social and cultural history with a particular interest in war and society. His major works deal with the Boer collaborators during the Anglo-Boer War of 1899-1902, Black South African troops during the First World War, and he would like to think that the book he has written on rugby and South African society is akin to dealing with the phenomenon of war in a different format.